The St. Augustine Historical Society was formed in 1979 for the main purpose of securing the purchase and eventual restoration of the Badin-Roque House. This structure is representative of Creole history and culture due to its construction, ownership and past uses. Many of the members of SAHS are descendants of the original owners of the house. The founding members of the society were all parishioners of St. Augustine Catholic Church at Isle Brevelle. Since that time the membership has grown to include not only these parishioners but others located nationwide. The membership continues to enjoy a steady growth. Committed to the preservation of Creole heritage, the members of the St. Augustine Historical Society is committed dedicated to preserving all aspects of this heritage; projects are constantly ongoing toward this end. The successful presentation of the Creole Heritage Day Celebration over the past many years is one example of its dedication to Creole cultural preservation. and built by people of color. 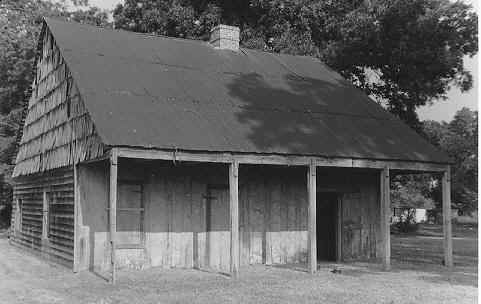 An example of a rare Creole architectural type, the Badin Roque House is reported to be the last surviving example of a "poteaux en terre" (post in ground) form of construction in Louisiana. It is one of the few remaining structures of this distinctive style in the entire country. This structure served, in its early history, as the first convent and school of St. Augustine Catholic Church and is now listed on the National Register of Historic Places.